A New Year means new trends. Faster, better, flashier. When it comes to digital marketing, it is essential to know the new trends of the New Year when developing a marketing plan for the New Year. Begin educating yourself today, prepare your marketing plan and reach out to Post Launch if you need assistance creating a successful 2016 web presence marketing strategy. 1. Advertising is out, customer experience is in. 2. Ad blockers will be more popular. As more businesses pay for online ads, more users are getting sick of constantly clicking out of ads to digest the content they are trying to look at. The truth is that ads that aren’t relevant are obnoxious to the daily user. Ad blockers grew by 48% in the United States between Q2 2014 and Q2 2015. In response, businesses will create more advertisements that seamlessly blend in with the user’s regular browsing experience, instead of interrupting it. 3. 3D is coming, still. People have been talking about the age of 3D printing and marketing for a few years now. We are finally going to start seeing 3D technology “move from novelty to mainstream.” Although the technology is still evolving, smart marketers will be searching for new ways to bring their products to the virtual world. 4. Social media will be recognized as a channel, not a strategy. For the past year, business marketers have been looking at social media as a single strategy in their digital marketing efforts. This view is slowly changing as marketers are realizing more and more that social media isn’t a marketing strategy, it’s a marketing platform. In fact, social media is one of many marketing platforms that should be used in a larger digital marketing strategy. 5. Omnichannel will impact both B2B and retailers. Omnichannel is a way for companies to create a smooth and consistent customer experience. Cloudtags describes it as, “The ability to have a continuous experience across brands, across format and across devices…” This new way of thinking about your brand being present and interactive across all customer experiences includes multiple platforms in the digital world – and companies will be focusing on that in 2016. 6. Big Data is essential in (digital) marketing. “Big Data” is a term that refers to large amounts of structured and unstructured data. Big data can be analyzed to gain insights into what’s working in a marketing strategy and help drive more strategic business decisions. Until recently, marketers who lacked skills in how to manage and analyze big data have steered clear. Now, and in 2016, tools are coming to the market to help marketers manage and analyze big data easily. 7. Mobile is NOW: Your website should be responsive. Marketers who have been putting off pursuing mobile responsive websites or mobile apps are already suffering the consequences. Google penalizes any website that does not respond to mobile platforms, and this will only drag your website rankings down until you join the mobile world. Mobile responsiveness cannot be put off for another year to have any significant web presence. 8. Videos and live streaming are more popular than ever before. As Forbes puts it, “If you want to engage with millennials, video is a must-have marketing tactic.” They prefer getting their entertainment and education on online platforms like YouTube rather than traditional channels like television. If you want your company to start reaching the younger crowd, videos will be necessary to capture and keep their attention online. 9. Content is King, still. We’ve all heard it before, but just to reiterate – content is still king. But now, context will play a bigger role than ever before. Companies will start to put even greater focus into developing strong content to create more organic online marketing. What will drive content campaigns the most is natural, relevant and timely content coming from the right online channels. Not just big data, but all data will play an important role in the decisions of company marketers, CEO’s and CMO’s. With data becoming the driving factor of important decision making, companies will look to their marketers to validate and prove a return on marketing investments. As 2016 gets closer, many companies begin looking at their marketing budgets and strategies and wonder what the New Year will bring. The internet is clearly not going anywhere, and now is the time to start investing in digital marketing strategies to create an effective and organic web presence. Your customers are already talking to each other online. It’s time for you to join the conversation. 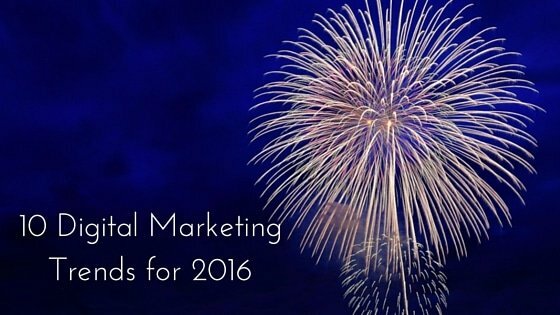 Consider Post Launch as your digital marketing resource if you know your digital marketing needs improvement in 2016.